There’s nothing quite like a startup accelerator. Your business models are put through the ringer. Your pitch to investors and clients gets razor sharp. You make friends that last a lifetime. You work with incredible mentors. You drink lots and lots of coffee. With everything moving so fast, your mental and physical capacity is tested — but in the end, your company emerges stronger and poised for incredible growth. 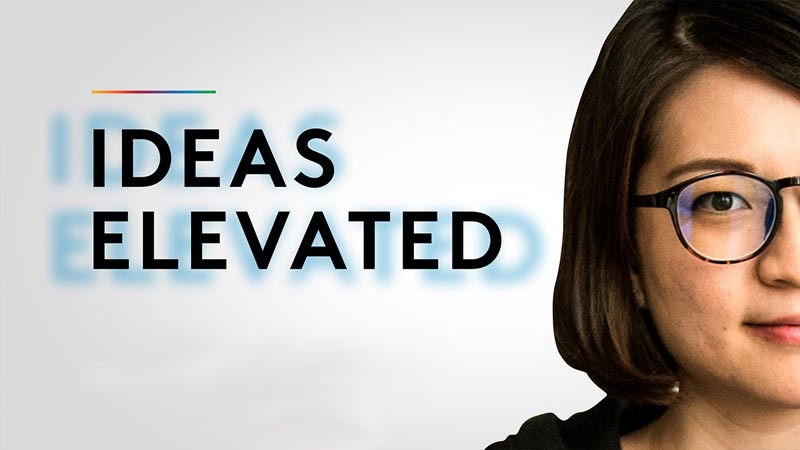 It’s a fascinating process fit for the movies — and now you can watch a behind-the-scenes, all-access look at life inside a startup accelerator in the four-part docuseries, Ideas Elevated. It’s available on our website, on YouTube and on Comcast’s X1 platform by saying “LIFT Labs” into your X1 voice remote. Ideas Elevated, produced by LIFT Labs with Philadelphia-based startup Tweed Video, features the inaugural class of the Comcast NBCUniversal LIFT Labs Accelerator, powered by Techstars. For 13 weeks, 10 startups tinkered away at complex problems like interactive TV shows, educational toys, social media ads, and text-based payment solutions. You’ll meet founders and teams from all 10 companies, like Tyler Bushnell, who grew up watching his father create iconic brands like Chuck E. Cheese’s and Atari — and forged his own path with video game platform Polycade. You’ll meet Yuting Su, whose company Thinker Tinker creates toys that blend digital and physical play to provide customized learning and emotional feedback experiences for children. You’ll meet Jeremiah Alexander, who traveled from Singapore to Philadelphia to join the program. He made the major sacrifice of leaving his girlfriend behind to develop wiARframe into the world’s first platform that lets anybody easily create augmented reality experiences regardless of coding knowledge. Watch as each founder navigates unique challenges, learns valuable lessons, hits major triumphs — and forges incredibly close relationships in the process. To help them on the journey, the startups had one-on-one mentoring from the Techstars’ worldwide network, and worked directly with mentors and product experts from across Comcast NBCUniversal. The series culminates with a behind-the-scenes look at Demo Day, where a founder from each company took center stage and pitched their business to hundreds of investors, mentors, Comcast NBCUniversal team members, and Philadelphia’s tech and startup community. We don’t want to give away the ending, but seven companies landed pilot programs and development deals with companies like Dreamworks, Comcast Business, Universal Parks & Resorts and Loews Hotels. The inaugural class of the Comcast NBCUniversal LIFT Labs Accelerator, powered by Techstars, included alive5, eyecandylab, Orai, Pium, Polycade, Portl Media, Tally Interactive, Thinker Tinker, Trapica, and WiARframe. We’re excited for you to watch the docuseries to meet the dynamic founders and see how boundless energy, constant curiosity, and incredible determination can elevate great ideas into high-growth companies. Also available now is the official LIFT Labs podcast. In the first few installments, it features Shark Tank host and investor Kevin O’Leary, Atari/Chuck E. Cheese founder Nolan Bushnell, Philly business journalist Michelle Caffrey, and best-selling author Alex Banayan. Applications for the 2019 LIFT Labs Accelerator, powered by Techstars close April 7. Apply now!